Editor's note: As originally written, this tip on restoring the classic All Programs menu in Windows 7 describes a Registry tweak that also changes your Internet Explorer Favorites, which you may not want. A fix for this change is described here. My recent post on tweaking the Windows 7 taskbar icons produced a lot of great follow-up questions, including one from reader Bob A. He doesn't like the scrolling All Programs list in 7's Start Menu; he wants to go back to XP's larger fly-out list. 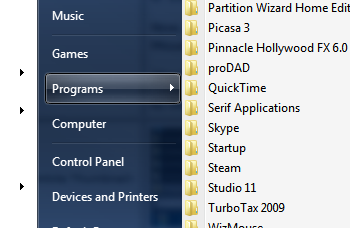 Vista offered the option of restoring that "classic" Start Menu, but Windows 7, inexplicably, doesn't. Fortunately, there are at least two ways to accomplish this: one, a simple Registry tweak; the other, a shareware utility. 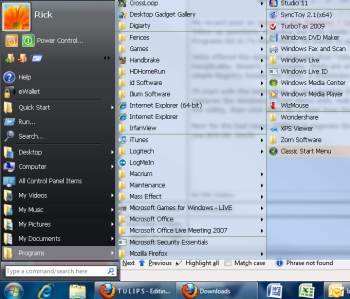 As you can see, Classic Start Menu also leverages Windows' Aero features, so you get some of the best of both worlds. Now for the bad news: CSMenu is nagware for the first 30 days, and after that it'll cost you $19.99. Ouch! 1. Click Start, type regedit, and press Enter. 6. Exit Regedit, then restart your PC.